Buying and selling lake real estate can be a challenge. Buyers are often far away from the lake homes for sale, existing real estate websites making finding only lake property difficult, and lake home sellers are not sure how to be found by these interested buyers. Lake Homes Realty is not just a high tech company (though LakeHomes.com does rock!) and not an army of real estate agents (we have only a select agent team). We are a unique blend, with only expert lake agents and one-stop website of lake homes and land for sale across multiple states! Want to know more? Our video will explain our new approach to lake real estate, in only 76 seconds! 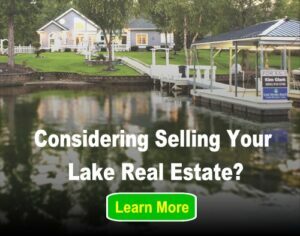 Previous post: Should I Buy A Lake Home or a Lake Cabin?